Helpful Forms & Documents are available here. Do I need an encroachment permit? 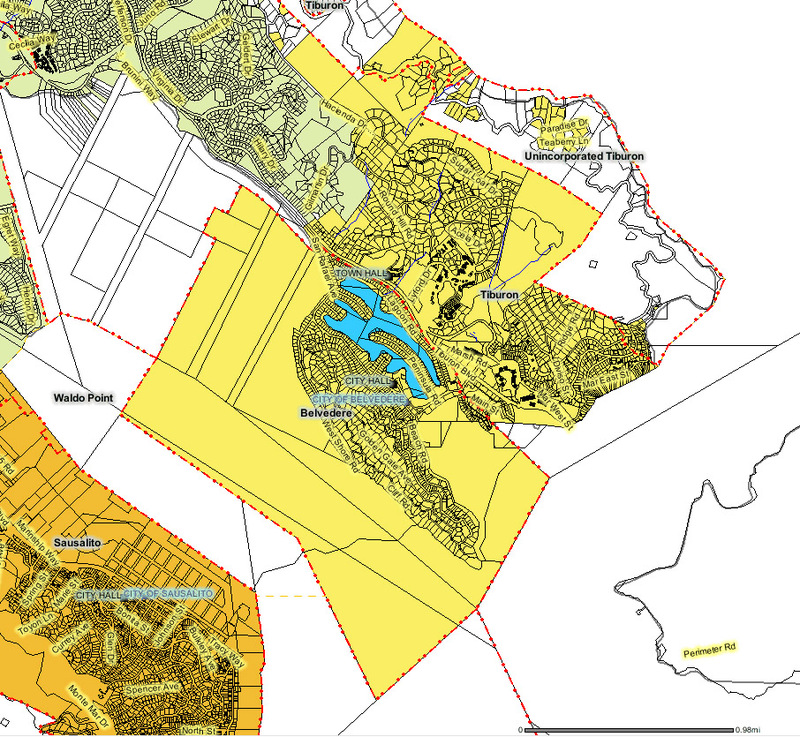 Tiburon Municipal Code Section 19-2 requires an encroachment permit for work within, upon or beneath the town streets, street rights-of-way, public easements, or town-owned land. Work such as excavation in the right of way or sidewalk areas, debris boxes, treework, crane work, large equipment delivery, and more all require encroachment permits before work begins. Working without an Encroachment Permit can subject the work to a Stop Work Order. Download the Encroachment Permit Application and General Conditions. I received a vegetation notice, what do I do? Tiburon Municipal Code Section 24-02 requires property owners to maintain the areas in front of their properties in a condition that allows for safe access and clearance. Keeping vegetation trimmed back properly allows the greatest possible clearance for emergency vehicles, street sweepers, and pedestrians in the area. Tiburon Fire Protection District Standard 304.1.2 also outlines similar requirements in keeping vegetation along roadways cleared properly. View the Tiburon Fire Protection Standards. If you receive a vegetation notice and have questions or would like to consult with a member of Public Works, please call (415) 435-7399 or e-mail pkerslake@townoftiburon.org. How do I report a problem or ask a question? Emergencies such as fallen trees or tree limbs blocking roadways, clogged storm drains or emergency flooding, water leaks, sinkholes, illegal dumping, or other hazards can be directed to (415) 435-7399 during normal business hours for the Maintenance Division of Public Works. If you have a priority or urgent issue and are unable to reach someone at the Department of Public Works, or are calling after hours, call the Tiburon Police Department at (415) 789-2801 and Public Works staff will be dispatched. Questions and non-priority requests such as the reporting of potholes, problems with street lights, graffiti, or other matters can be directed to the Maintenance Division of Public Works at (415) 435-7399 or email pkerslake@townoftiburon.org. Requests can also be submitted by using our online form. I have a sewer related issue, who do I call? I have a water related issue, who do I call? If you are experiencing a water leak, call the Marin Municipal Water District at (415) 945-1500, 24 hours a day. If the leak appears to be on town property, or is the result of a malfunctioning irrigation system, contact Tiburon Public Works. The Town does have some sidewalk areas that are owned and maintained by the town. However, the majority of sidewalks, per Tiburon Municipal Code Section 24-02, are the responsibility of adjacent property owners who are required to maintain them in a safe and non-dangerous condition at all times. Buckled, broken, or otherwise damaged sidewalks are covered under this ordinance. Tiburon provides sandbags during the winter months to residents. Sandbag filling stations have been set up at the Blackie's Pasture gravel parking lot and at the Tether Park parking lot off of Beach Road. Residents can also purchase sandbags at many local retailers including Goodman Lumber in Mill Valley, Shamrock Materials in San Rafael, and Water Components in San Rafael.